Buying a franchise can be a life-changing experience. Make sure it's a positive experience by doing your due diligence before signing a franchise agreement. A properly designed and executed franchise system can be an exceptional method of expansion, but franchise systems that are poorly designed or not well managed are to be avoided. Below are the top 10 reasons to consider investing in a franchise. Many entrepreneurs have the skills to run an existing successful business but don’t have expertise in all it takes to get a business up and running, whether that's obtaining financing or negotiating lease terms. Buying an existing franchise in a well-designed system can eliminate much of the hard work: choosing a territory, finding a location, negotiating a lease, finding reliable contractors to complete a build-out on time and on budget, establishing vendor relationships, etc. You may also be able to start a business with trained staff already in place. But, you will still need to do your homework - aside from the transfer fee, your fees and terms may be substantially different than the sellers. When you buy a franchise, you buy a system - an entire method of doing business. Franchises have an established system in place that you must follow to distribute the franchisor's products or services using the franchisor's trade or service marks. Having a proven system already in place eliminates the guesswork and errors a common business owner would normally face. In addition to exercising some control over franchising operations and the franchisee's adherence to brand guidelines, the franchisor provides the franchisee with franchising leadership and support. If you buy into a franchise system that is already established, the corporate image and brand awareness is already recognized. Customers are usually more comfortable purchasing items they are familiar with and working with companies they already know and trust. In the consumer's mind, a franchisor's brand equals the company's reputation. Great franchisors want to ensure that their customers are satisfied every time they shop at a franchised location and that the franchisee delivers on the franchisor's brand promise. Buying a franchise is very different from starting a mom-and-pop business. Since there is an already established system in place, there is a higher likelihood of success. If you invest in a proven franchise opportunity and follow the system the franchisor has put in place, you should be on your way to running a successful business. Lenders are usually very comfortable financing the purchase of a franchise because franchises already have a proven track record. Bankers usually look at successful franchise chains as having a lower risk of repayment default and are more likely to loan money based on that premise. In addition, some franchise systems will provide in-house financing and/or leasing options. Many systems also offer special discounts for veterans, via the VetFran initiative. 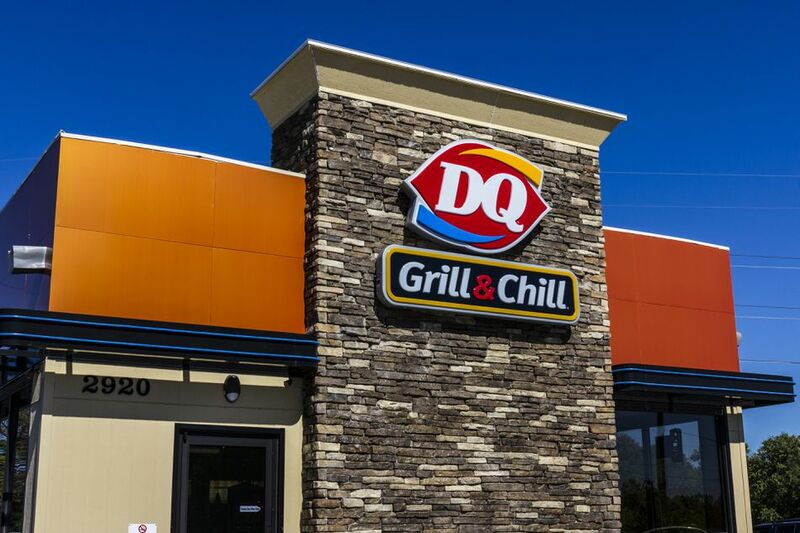 Most franchise companies offer a training program that is typically held at their corporate offices, plus additional training that occurs at the actual franchise location before the grand opening. The franchisor will train you to run your franchise the same way their other franchised locations are run. It will ensure that you are running your business efficiently, and will help to eliminate any common mistakes a new business owner usually faces. When you buy a franchise, you have the support of the franchisor and the support of knowing you are part of a growing system. You will always be able to pick up the phone and ask questions of the franchisor or even other franchisees. Established franchisors typically also have field staff who can visit your location to provide coaching and consulting if needed. The franchisor typically takes care of handling the system marketing; these costs are covered by an Advertising Fund (sometimes called a Brand Fund). The franchisee is also usually required to spend a certain amount on local marketing. The franchisor should have an outline for you to follow, will supply graphics and marketing material templates, and sometimes will have specific vendors for you to use. When you buy a franchise, you are usually also buying an exclusive territory, or a protected territory, in which to do business. Franchisors only allow a certain amount of franchises to be open within a certain geographical region. You will usually be entitled to a certain area, and no other franchises (within your franchise system) can be open within that area. Being a part of a franchise system can offer you more opportunities to grow within the system. Once you have become a successful single-unit franchise owner, you may have the opportunity to become a multi-unit franchise owner.